What is the most important information I should know about raloxifene? Raloxifene may also be used for other purposes not listed in this medication guide. What should I discuss with my healthcare provider before taking raloxifene? You also should not use raloxifene if you are allergic to it, if you are pregnant or breast-feeding. if you take a blood thinner (warfarin, Coumadin), cholesterol medication, or estrogen hormone replacement therapy. Although it is not likely that a postmenopausal woman would be pregnant, raloxifene can cause birth defects. 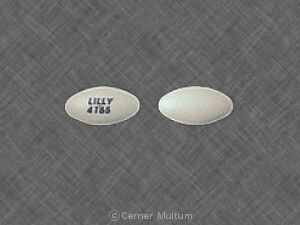 Do not take this medicine if you are pregnant or may become pregnant. Use effective birth control if you are not past menopause, and tell your doctor right away if you become pregnant during treatment. It is not known whether raloxifene passes into breast milk or if it could harm a nursing baby. You should not breast-feed while using this medicine. How should I take raloxifene? Raloxifene can be taken with or without food. You may take raloxifene at any time of the day, but try to take it at the same time each day. Each blister card contains 15 tablets labeled with a different day of the week. The first tablet you use should be labeled with the day of the week your doctor has instructed you to start taking raloxifene. If you have refilled your prescription and are starting a new blister pack, take the tablet that is labeled one day after you took your last dose. Keep taking the medication one tablet per day, unless your doctor has told you otherwise. Try to take the medication at the same time each day. The tablet in the center of the blister card should be the last tablet you take before starting a new card. Raloxifene is only part of a complete program of treatment that may also include diet, exercise, calcium or vitamin D supplements, and weight control. Follow your diet, medication, and exercise routines very closely. What should I avoid while taking raloxifene? What are the possible side effects of raloxifene? What other drugs will affect raloxifene? Other drugs may interact with raloxifene, including prescription and over-the-counter medicines, vitamins, and herbal products. Tell each of your health care providers about all medicines you use now and any medicine you start or stop using. Copyright 1996-2017 Cerner Multum, Inc. Version: 4.04. Revision date: 10/6/2015.